Evolution Financial Group and our affiliate companies span a wide range of financial services and activities. The firm was originally founded in 2002 as an alternative investment manager, and has since developed into a diverse set of business lines dedicated to the goal of delivering superior risk-adjusted returns for our partners and our firm’s long-term growth. Evolution invests heavily in technology, operations, and professional training underpinning these business units. This ongoing commitment to innovation and development has been key to our management’s successful performance through volatile markets and varied economic environments. Family Office Investment Activities: Since inception in 2002, Evolution’s investment teams have achieved meaningful risk-adjusted returns by focusing on market niches and strategies where we enjoy a competitive edge based upon the experience and knowledge of portfolio managers, state-of-the-art execution capabilities, and structuring expertise. Our managers invest the firm’s principal and key employee assets within a risk management framework that subjects portfolios to rigorous discipline and oversight throughout the investment cycle. Evolution’s proprietary systems produce real-time risk and profit attribution, allowing managers to dynamically adjust positions and strategies to take advantage of opportunities and to protect capital in volatile markets. Debt and Equity Financing Solutions: Through Evolution Japan Securities, a Japan-based licensed broker-dealer, we provide debt, equity, and hybrid financings to Japanese and Asian corporations. Our specialized team creates innovative credit solutions and has provided liquidity to corporate partners through convertible bonds, block equity, and other structured financial transactions. 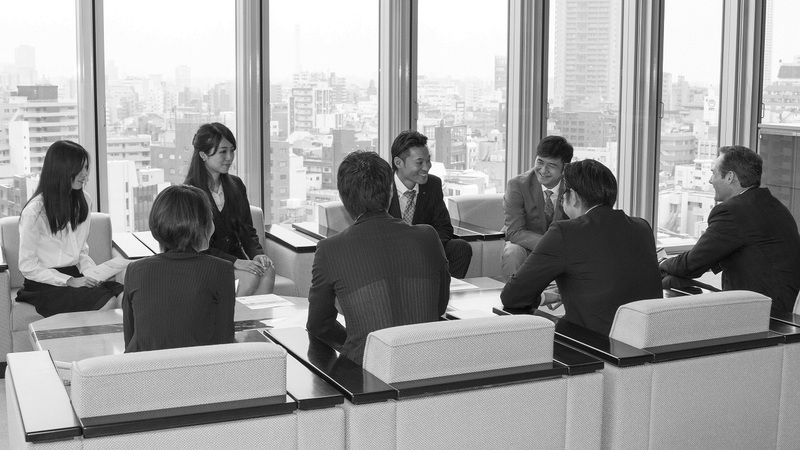 Investment Banking: Evolution Japan Securities also provides boutique investment banking services, focused on delivering tailor-made solutions to our clients in areas where we have assembled best-in-class teams of market professionals. Our equity solutions team provides companies and major shareholders with a variety of potential financing structures including equity offerings, debt issuance, and derivative transactions. Our structured solution teams focuses on international asset securitization and corporate repackaging and restructuring. External Fund Management: Through our United States-based SEC-registered investment advisor, Evolution Capital Management LLC, Evolution manages private investment funds that include among their investors some of the largest alternative asset managers in the world. Loan Asset Management / Servicing: In 2017, Evolution acquired Capital Servicing Co., Ltd.“Capital”, a leading loan servicing platform in Japan with unrivaled extensive experience throughout Asia. With a focus on real estate-backed, performing and non-performing loan portfolios, Capital manages a full range of loan products on behalf of top-tier institutional investors and also as a principal. Capital’s servicing operation is built on strong systems, processes, institutional reporting capabilities, and corporate governance. This foundation has helped Capital become the go-to servicer for debt investors, loan originators and arrangers of securitizations in the Japan market. As a special servicer, Capital executes innovative resolution and revitalization strategies which seek to maximize investor returns and contribute to the broader economy. Capital is licensed by the Ministry of Justice in Japan and currently rated by Standard and Poor’s as “Strong with a Stable Outlook”, the highest possible servicer rating. Capital’s sister company, Capital Advisory Japan, is a licensed real estate broker providing brokerage, due diligence, and advisory services. Private Equity and Venture Capital: Evolution Financial Group engages in many private equity and venture capital activities which range from investing in early stage start-ups to accessing private equity positions in publicly listed corporations. In addition to acting as a source of capital, we provide strategic guidance to early stage companies. Evolution provides its portfolio companies with value-added strategic advantages to advise and accelerate their early- and mid-stage growth. Through our global network, our team leads investments in large primary and secondary equity positions, and offers proprietary co-investment opportunities to our strategic partners. Infrastructure Solutions: Evo Infrastructure Solutions, Inc. (EIS) provides comprehensive middle office, back office, and infrastructure support for global members and affiliates of the Evolution Financial Group. EIS works to help maximize efficiency across our business lines and to ensure its clients can focus on investment management and front office activities.